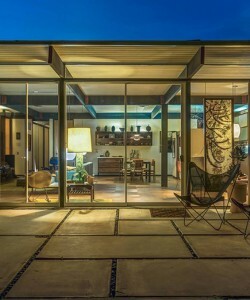 Just a few years ago, DC Hillier launched a Facebook group to connect with others who share his passion for midcentury modernism. There was no commercial aim; it was just meant to be a casual, semi-private outlet for posting nostalgia-laced archival images of furnishings, interiors, and architecture, while crowd-sourcing attribution information and back-stories for found objects of design. Fast-forward to today, the group boasts nearly 50,000 members—and counting! “Mid Century Modern,” as the closed Facebook group is called, may have begun just for fun, but it’s become a robust online hub where design professionals and amateurs alike meet to exchange anecdotes and pictures of their always joyful encounters with 20th-century design. Inspired by the voracious appetite for midcentury modernism that he’s tapped into through his group, Montreal-based Hillier recently launched the education-oriented website MCM Daily—with its attendant MCM Daily Facebook page, currently at around 9,000 likes—and his own Twitter and Instagram accounts, the latter of which is pushing 13,000 followers. Scene from the James Bond Film ‘You Only Live Twice’ 1967, directed by Lewis Gilbert with set design by the Ken Adam. DC: While I had websites for myself and for my Clairtone collection, Facebook was my first online social interaction. Since 2012, I’ve been running the Mid Century Modern group, and just over one year ago I started MCMDaily.com and its Facebook page and Instagram account. DC: Ha! It does indeed impact my real life, and I’ve been called out on it by friends. It’s been four years now of “life online.” And with the group, the online magazine, and Instagram, I spend at least three or four hours a day on it—sometimes longer. But the people who follow my posts and the members of the Facebook group are an incredible bunch. They’re equally eager both to learn about something I care about and to share what they know. I discover something new every day from them! I mean, tell a kid growing up in a small, isolated fishing village with a penchant for design that he would one day be “friends” with 75,000 people who also like modern design? I’d say I’m pretty lucky. DC: When I started collecting initially, it was simply a random acquisition of anything that caught my eye that I liked (and could afford!). But as I came to learn about designers and international approaches to modern design, I found myself quite drawn to ’60s European design. The “plastic fantastic” pieces that were often more flights of design fancy than functional objects. But they do have a charm! I’m currently on the lookout for a pair of high-backed Culbuto Chairs by Marc Held. DC: This is going to sound very much like a cliché, but after giving it some thought I would have to say the design that best encapsulates the era is the Model 670 Eames Lounge designed by Charles and Ray Eames for Herman Miller in 1956. Quite simply, it is the epitome of modernism and has earned its status as an icon of timeless design. It works in any room. DC: That is a good question and one I’ve thought about many times. The continued popularity of midcentury modern design may simply come down to the fact that it often feels that we live in rather ephemeral times, with everything being instant and disposable. We do not hang on to our consumer products for very long these days. New furniture may be cheap, but its been designed to be replaced in just a few years. When our parents bought a sofa, it was going to be in the home for ten years or more. There are many photos that show children growing up on just the one sofa. And that’s endearing. And while I shouldn’t wax poetic about it, unlike some flat-pack item, a great piece of midcentury modern furniture has history; it has a sense of permanence. They are beautiful, well-designed things that are very easy to live with and almost reassuring to have around. Some of the items in DC Hillier's collection. Click on the image for full view. After studying Design History, Wava Carpenter has worn many hats in support of design culture: teaching design studies, curating exhibitions, overseeing commissions, organizing talks, writing articles—all of which informs her work now as Pamono’s Editor-in-Chief.